There’s clearly huge demand for silver at the moment and some of the world’s bullion coin suppliers are doing what they can to satisfy it. The Perth Mint have recently released a 1/2 oz coin depicting the Great White Shark with a 500,000 mintage, as well as a very popular 10z Saltwater Crocodile coin that has already sold out at the mint. Treasures of Oz made the decision to release a full bullion version of their excellent Lunar series, with a 1oz lunar horse coin struck by the Sunshine Mint and with a 300,000 mintage. UPDATE: Despite claims by a large US dealer, we can confirm this is not a New Zealand Mint product. 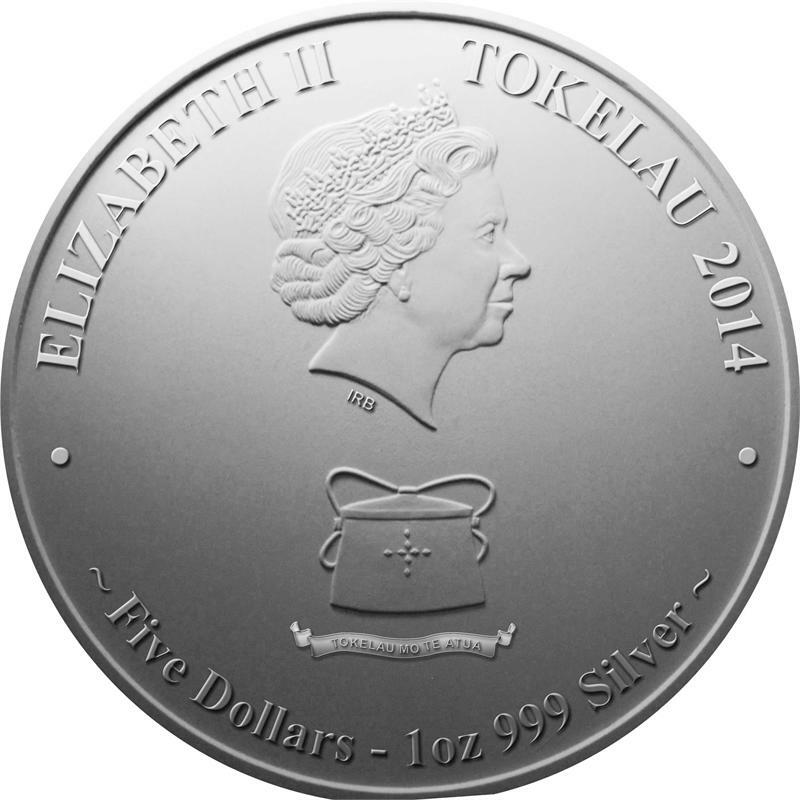 It is described as “the first coin to be released in a new series of silver bullion coins issued by Tokelau to celebrate the rich ocean life of this South Pacific Ocean territory of New Zealand.” Surely a clear indication this will be ongoing, and the mint involved are going to compete in the silver bullion coin market after the half-hearted attempt undertaken with the beautiful Taku coins. A 1/2oz version with a 250,000 mintage will follow shortly and then a new design will be used for the next in the series. It’s a really nice design in our opinion, very dynamic, especially for a bullion coin. If there’s any justice it’ll follow the Perth Mints recent crocodile coin and sell out in short order. Early prices for the coin put it just above the boring, limitless trio of American Eagles, Canadian Maples and Austrian Philharmonikers, so a good punt we reckon. When we get more information and better images we’ll post it up. 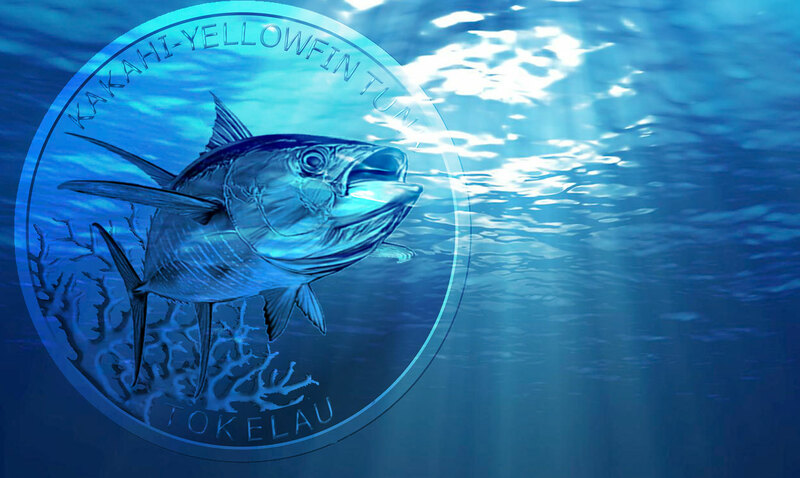 So why does New Tokelau commemorate yellow fin tuna on silver bullion coins? Could be yellow fin tuna maybe is best can tuna? UnforTUNAtely, having seen a real photo of this coin, it doesn’t live up to the published image. It could have done with being a reverse proof like the Tokelau lunars. Totally agree. Trying to get a sample to photograph and have a look at, but the admittedly crappy eBay image isn’t promising. 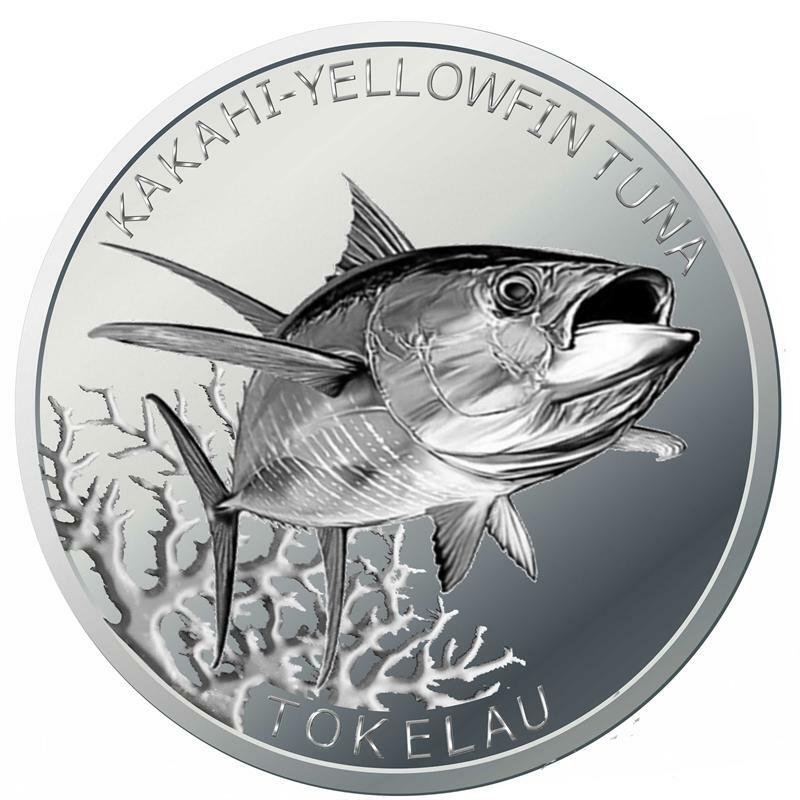 Does anyone know if there is a 2015 Tokelau 1 oz silver Kakahi yellowfin tuna produced ? I have a 2015 instead of a 2014 tuna mat finish coin….any help is appreciated. We’ll reach out to the producer for more information, Johan. Will post here when we know something.